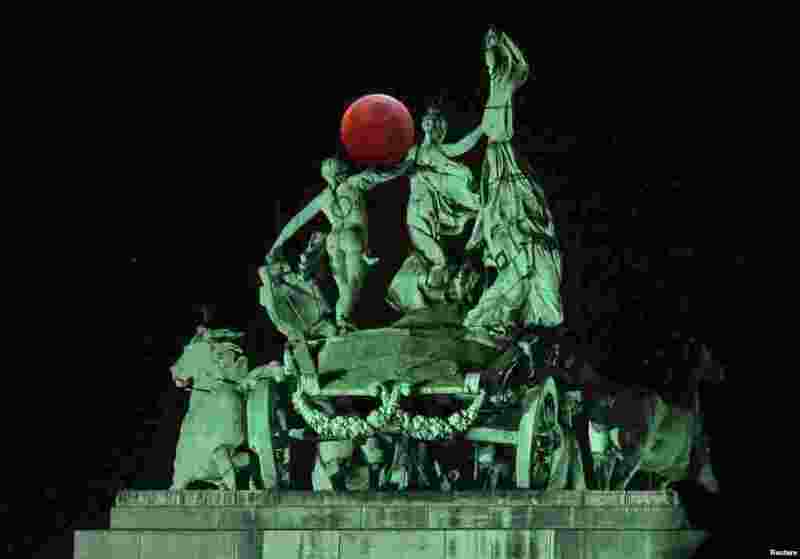 1 The moon is seen on the top of the Cinquantenaire arch during a total lunar eclipse, known as the "Super Blood Wolf Moon", in Brussels, Belgium. 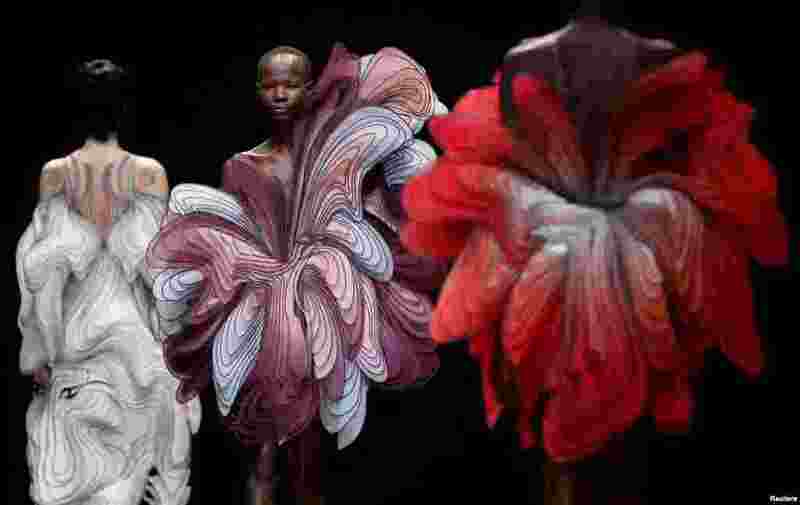 2 Models present creations by Dutch designer Iris van Herpen as part of her Haute Couture Spring-Summer 2019 collection show in Paris, France. 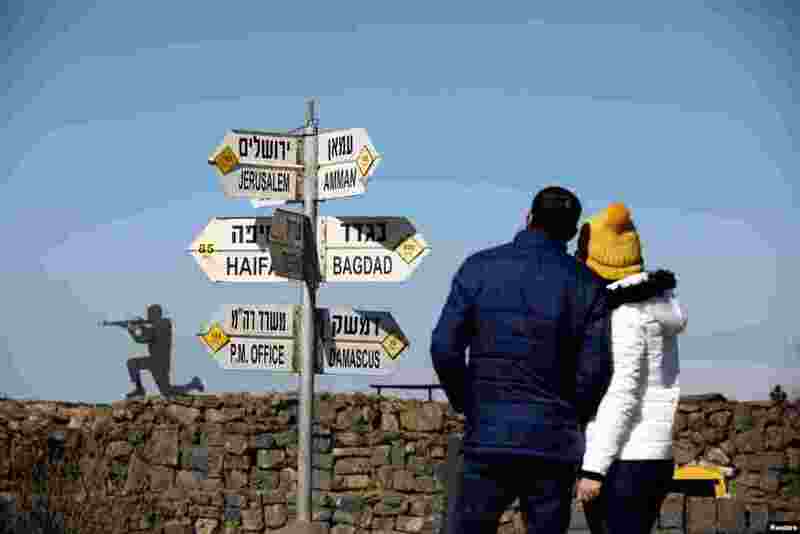 3 A couple looks at signs pointing out distances to different cities, on Mount Bental, an observation post in the Israeli-occupied Golan Heights that overlooks the Syrian side of the Quneitra crossing, Israel. 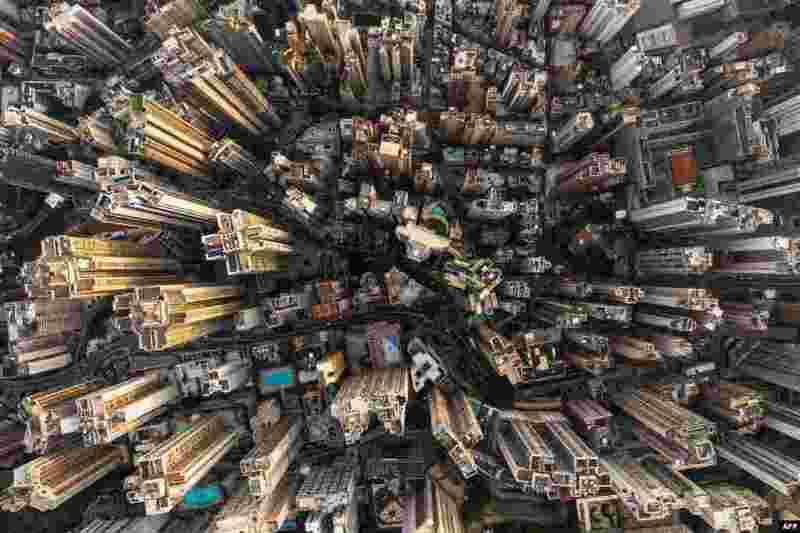 4 This aerial photo shows commercial and residential buildings in Hong Kong.